This Video will show you how to take the best Photo possible to post on your dating Profile. It’s critical to present the optimum “FIRST IMPRESSION” before the dating process takes place. Online dating expert, Carmelia Ray, offers important tips on how to pick the best profile photo for a Senior dating website. Just Tired of Being ALONE? Every relationship starts out that way, but what if . . .? Make no mistake, Dating has always been and always will be the most competitive social sport on the planet. 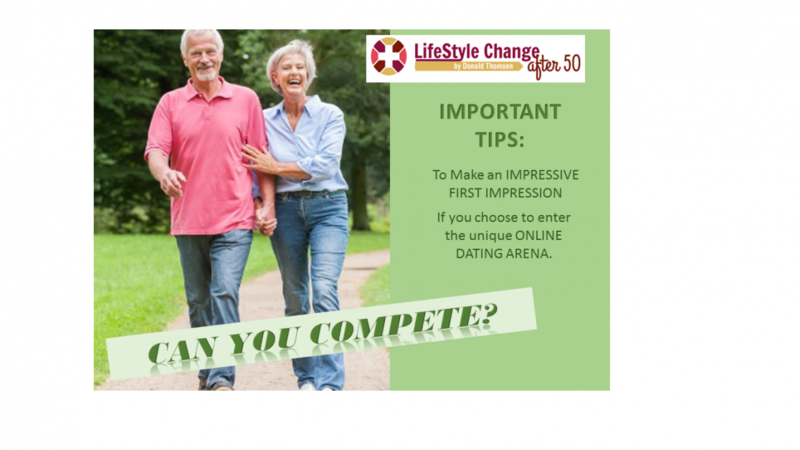 If you decide to enter this ONLINE arena; “YOU WILL BE COMPETEING!” And it won’t be like the old days, where all you had to beat out was a half-dozen classmates in High School or College. Whatever you do DON’T try “trick” photography. Photoshoping your head on Schwarzenegger’s or Beyonce’s body; won’t get you very far. At some point you two actually have to meet face to face. Don’t let my rant scare you away, that’s not my intent. I just want you to be realistic. You need to train to be the BEST contestant you can be. DON’T relegate this exciting quest to the trash bin before you even get started. DON’T equate your profile photo, like having your picture taken at the DMV. This could be a life changing commitment, treat it as such. You do have options . . . no matter your age. I am offering you a SIMPLE, FOOLPROOF, EASY, PERMANENT solution to your potential problem.